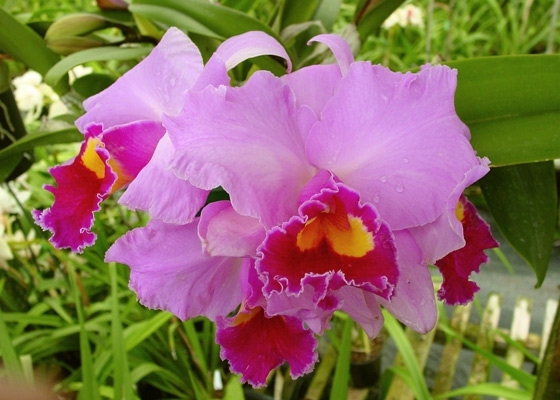 This famous variety grows and blooms great either indoors, or outdoors with Cymbidiums. These large flowers of vibrant dusky-pink have a broad, magenta-purple lip and a bright golden throat. It also has a delicate sweet scent ; it really is the best! .Temperature Tolerant. May blooming.